Aizawl, Aug 13 : In a noble move, The Mizoram Pradesh Congress Committee (MPCC) today sent relief services to the Mizo flood victims in Myanmar. 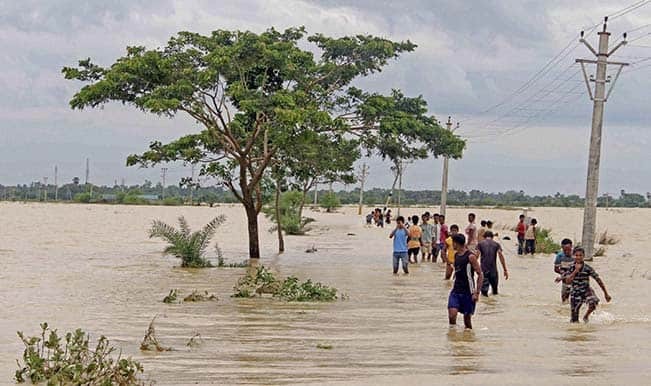 The relief materials included 400 bags of rice, 20 quintals of Dal, 40 tins of edible oil, two quintals of soya product and medicines total worth of Rs 8.20 lakh, a press statement issued by the MPCC said. Two trucks were sent to Zokhawthar and Farkawn villages in Champhai district, the statement said, adding that the materials sent to Zokhawthar would be delivered at Tahan (Myanmar) and the materials sent to Farkawn would be delivered at Haka village (Myanmar). The materials would be taken over by the Mizos at the Myanmar border, the statement said. The central committee of the Young Mizo Association (YMA) had already sent 200 bags of rice to the flood victims in Myanmar last week.